Removal of researcher’s name from University of Pittsburgh building calls attention to the dishonorable history of experimentation on human subjects, including racial minorities, children, and people with disabilities. Parran, who served as the first dean of Pitt’s School of Public Health from 1948 to 1958, was involved in the infamous Tuskegee Syphilis Study while serving as U.S. Surgeon General from 1936 to 1948. He was also involved in a government-sponsored study that infected prisoners and mental institution patients with venereal disease in Guatemala. The Tuskegee, Alabama, study withheld information and treatment from 399 black males with syphilis so researchers could observe the progress of the disease. Over the course of the 40-year study, 28 men died from syphilis, 40 spouses were infected, and 19 children were born with a congenital form of the disease. It is unethical to experiment on human subjects without their knowledge or consent. In response to public exposure of the Tuskegee study, the federal government established the National Commission for the Protection of Human Subjects of Biomedical and Behavioral Research in 1974. Lawsuits and press coverage also brought scrutiny of human experimentation. As far back as the mid-1800s, populations that were devalued in American society — racial minorities, people with disabilities and mental illness, orphans, prisoners, the elderly – became unconsenting subjects of scientific experiments. Documentation of experiments on African slaves dates to the 1840s. In some cases, experimentation was framed as “medical treatment.” The Tuskegee Study and many others were funded by the U.S. government. One of the first documented experiments on people with disabilities occurred in 1895, when New York City pediatrician Henry Heiman infected two boys with gonorrhea. In the 1940s, residents of state instutions in Michigan were injected with flu virus. Psychiatric patients at the Illinois State Hospital were infected with malaria in the 1940s. At Willowbrook, a New York institution for children with disabilities, children were exposed to viral hepatitis between 1950 and 1972. The purpose was to develop a vaccine. Parents of the children were told the injections were a vaccination. From 1953 to 1960, Sonoma State Hospital in California, children with disabilities were subjected to spinal taps for experimental purposes. The brains of deceased children with cerebral palsy were removed and studied without parental consent. Human experiments involving environmental agents also targeted people with disabilities and other vulnerable populations. From 1944 to 1956 at Fernald State School in Massachusetts, 73 children with disabilities were fed oatmeal containing radioactive calcium. The researchers were scientists from MIT and Harvard. At Fernwald State School in Waltham, Massachusetts, in the 1940s and 50s, children with disabilities were fed radioactive cereal as part of a scientific experiment. The deinstitutionalization movement of the 1970s, combined with increased oversight of human experimentation, effectively ended these kinds of abuses. However, stories of past abuse are still being documented and told. Increasingly, a new generation of human rights advocates are leading efforts to shed light on the past. 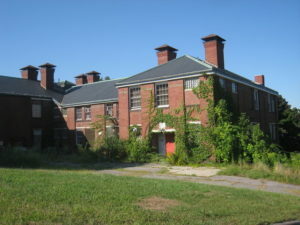 Over the 2017-18 school year at Gann Academy in Waltham, Massachusetts, high school students investigated unethical experiments on children at nearby Fernwald State School in the 1940s and 1950s. The students’ research and collection of documents and artifacts is now part of a new disability history exhibit at the Charles River Museum of Industry & Innovation. During the year-long effort, the students “talked a lot about victimizing people with disabilities” and its effect on society, student Elianna Gerut said in an interview with WBFO, the NPR affiliate in Buffalo, NY. Grodin, M. A., Glantz, L. H., & Dellinger, A. M. (1996). Children as research subjects: Science, ethics, and law. Journal of Health Politics Policy and Law, 21(1). Rebecca Leung. “A Dark Chapter In Medical History”. CBS News, 11 February 2009. Offit, P. A. (2005). The Cutter incident: how America’s first polio vaccine led to the growing vaccine crisis. Yale University Press. Wilson, D. J. (2007). Living with polio: the epidemic and its survivors. University of Chicago Press.